Buy in March and save in April. March brings us an opportunity to save on April’s purchases. 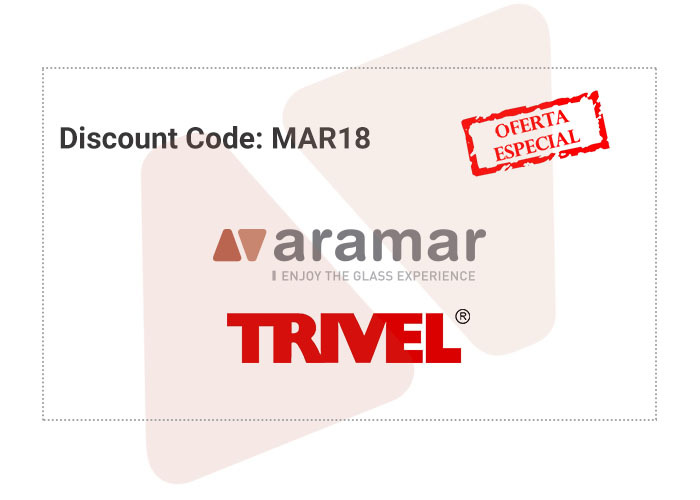 Of the purchases made in March in any reference of the Trivel brand, a 10% discount will be accumulated for purchases made in April. So, from the amount purchased in Trivel articles during the month of March, 10% will be calculated to be deducted from the general purchases you make in the month of April. Don’t forget to consult our catalogue for the references of Trivel and other brands.